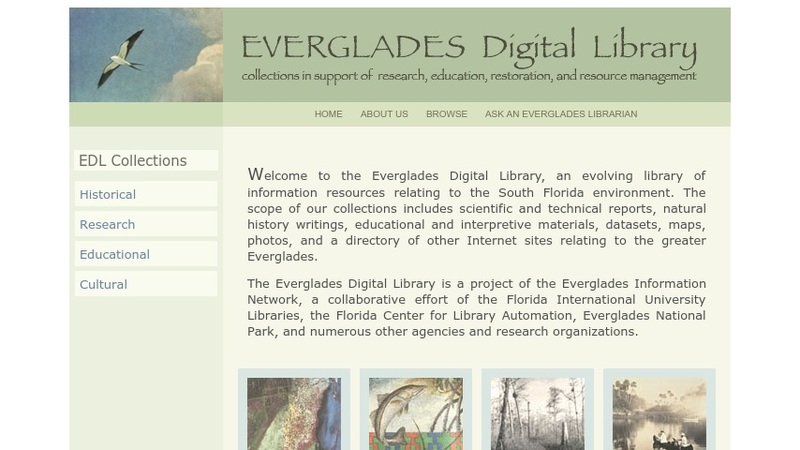 The Everglades Digital Library (EDL) is a comprehensive portal to high-quality digital resources relating to the south Florida environment. These resources include online texts, articles, reports, photographs, maps, datasets, educational materials, and historical records, as well as links to organizational web sites and agency home pages. These materials come from libraries, government agencies, nonprofit organizations, educational institutions, and other sources.